Invest Smart – Get Hybrid Solar Systems Today! 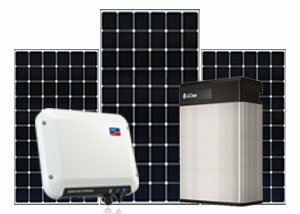 Go Run Solar is the industry’s leading solar power and energy storage experts that specialise in turnkey solar system solutions. With our in-depth industry knowledge and expertise, you can trust us to design & install quality hybrid solar systems with the top-grade equipment from the trusted brands with great warranties. From engineering, design to installation through to after-sales service, we provide a turnkey hybrid solar solution in Brisbane. In addition, we can also help convert your existing power system to a hybrid battery system. Why Should You Opt For Hybrid Solar System in Brisbane? The hybrid solar system creates energy in a similar manner as a grid-tie solar system, but in addition, it uses batteries to store generated power for later use. This allows hybrid solar systems to also function as a back-up power supply during a blackout (This function is only available with a selected model of inverters). 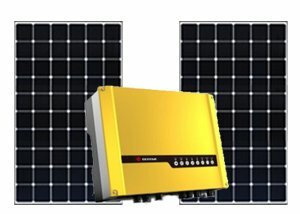 In fact, the term “hybrid solar” refers to a combination of battery and solar. Which Are The Additional Components Used In Hybrid Solar Systems? To get the most out of the hybrid solar systems in Brisbane, think Go Run Solar. Our installers are CEC accredited and we are award-winning solar retail 2019 by product review. Our highly knowledgeable team strives hard to provide you with the best solutions at highly competitive prices. 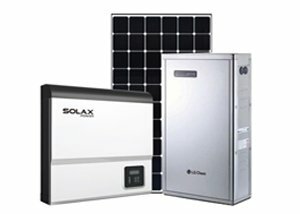 Our designers, engineers and installers collaboratively work together to deliver you the hybrid solar system that is highly affordable, user-friendly, easy to maintain and serves the purpose. Hybrid solar systems can help maximise your benefits from solar investment, whilst making you energy independent. If you have any questions related to hybrid solar system or would like to request for FREE on-site inspection, contact the experts at Go Run Solar today!